Tiss' the season for pumpkin everything. I swear everywhere I look its pumpkin this, pumpkin that. With that said, I have decided to switch it up a bit and create a pumpkin bread with WHITE pumpkins! I discovered these when I was cooking thanksgiving for a client a few years back. They are sweeter and softer than your average orange pumpkins and they puree beautifully when cooked. 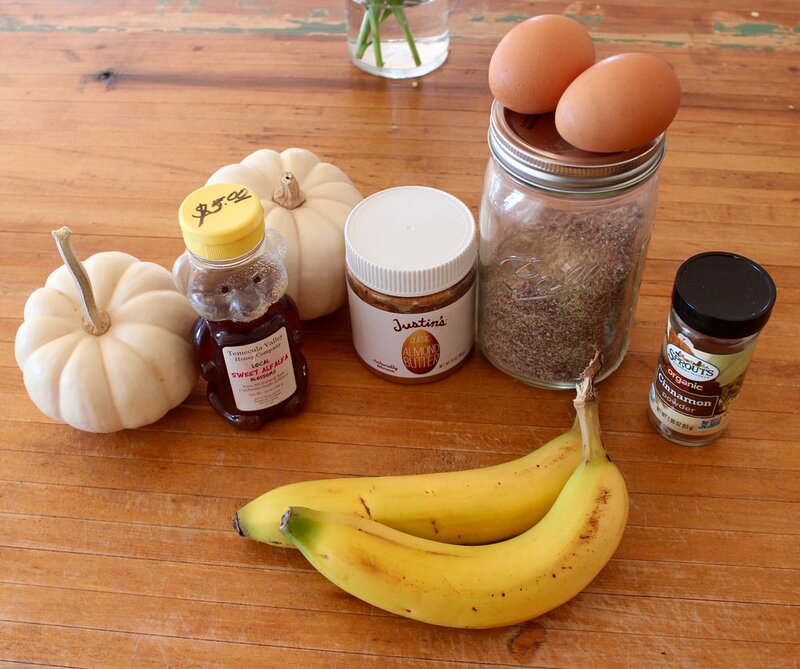 These small little guys will have you rethinking all of your favorite pumpkin recipes this year! Preheat oven to 350. Peel each pumpkin with a potato peeler. Then cut off each end, cut in half and scrape out the middle seeds. With the remaining flesh, cut into 1/2 inch squares, toss in coconut oil and lay out on sheet pan. Pop into the oven for about 20 minutes or until pumpkin is fork tender. Grab your food processor and put all of the pumpkin inside. Puree the pumpkin until it is nice and buttery smooth. Keep your oven at 350. 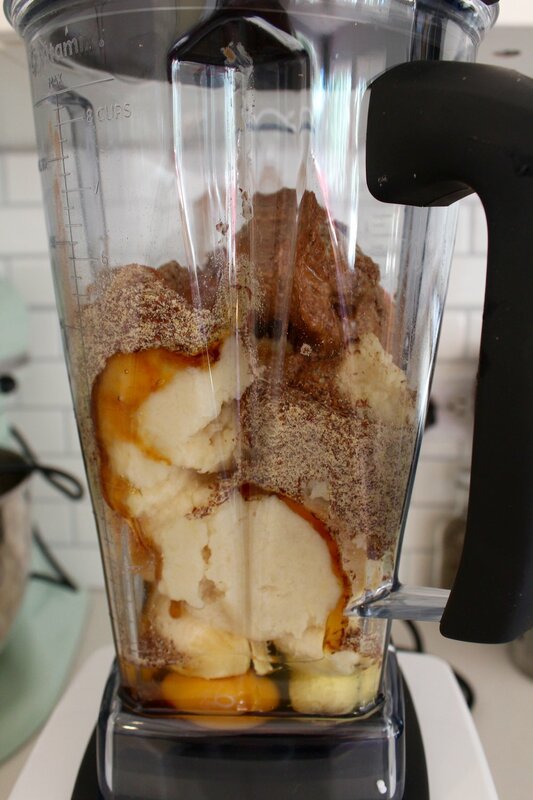 Add all ingredients into your high speed blender. Blend until smooth. Yeah… its that easy. Line a bread pan with coconut oil and place a fitting piece of parchment on the bottom over the coconut oil (cut a piece to the right size). This will allow for hassle free lifting from the pan. Pour mixture into the pan until it is about 3/4 full. If you have extra, make some muffins out of it! Pop in the oven for about 40-45 minutes (20 for muffins) or until you can stick a toothpick in the middle and it comes out clean. Let this baby cool completely before removing from the pan. Store in the fridge, or if in a cooler climate, store on the counter in an airtight container.